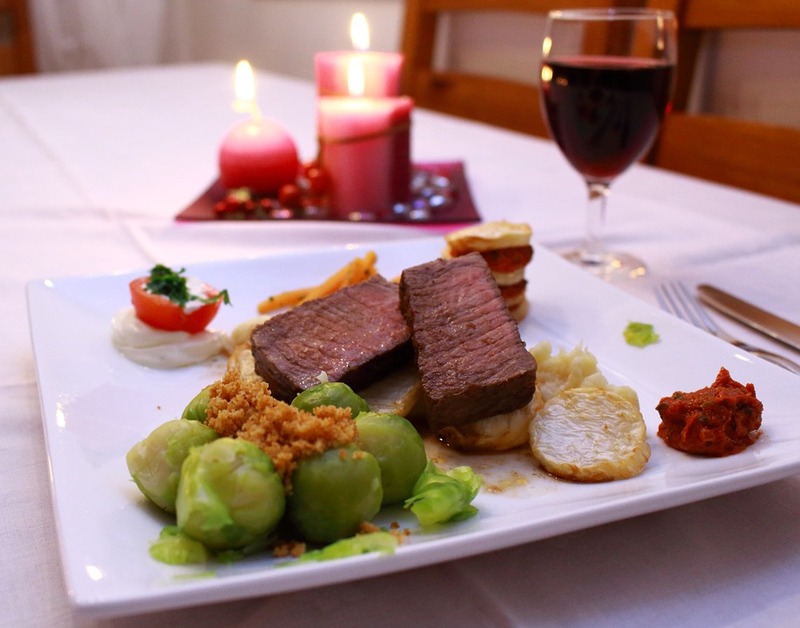 Bloggers and reporters are keen to suggest perfect food and wine pairing every time a holiday is approaching, because they want to make sure you select the right wine to pair with your Holiday menu. But what are the bases for these food and wine pairing recommendations? Since we were living in the Champagne region, bubbly was known to pair with any type of food! Not everyone can afford eating with Champagne wine (including myself) and the above tips are just a starting point: there are so many whites and reds to choose from. There is no exact science behind food and wine pairing, however principles based on the sensory profiles of both the dish and the wine have been put forward. 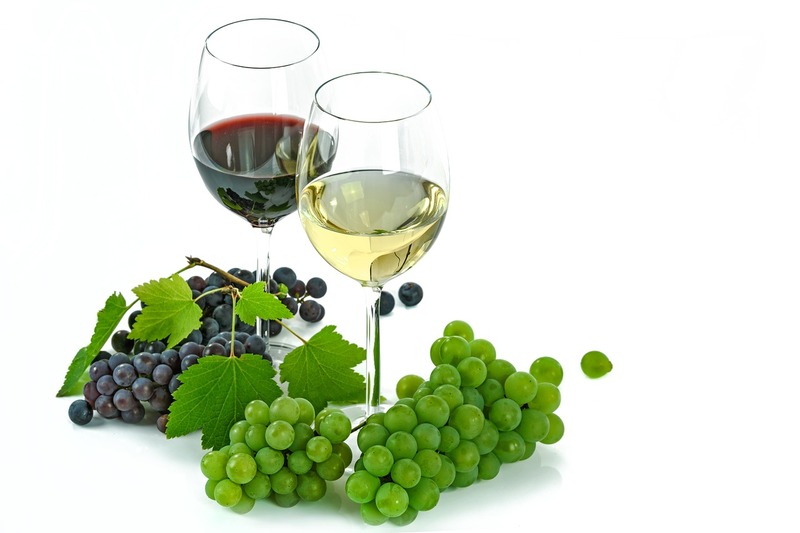 In this article, you will find different resources to explore Food and Wine pairing. 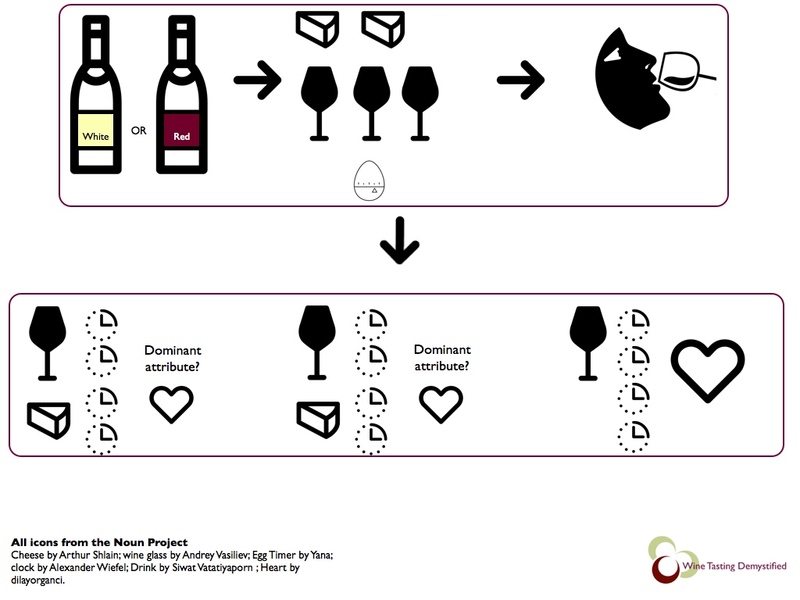 You can start learning about food and wine pairing using infographics are available online. Several authors have dedicated books to the topic and you may want to learn from their experience. Jack from BroBBQ.com contacted me recently to share the chart he created to pair wine or beer with BBQ fares. Since moving to the US, I learned that every state has its way of barbecuing, grilling, or smoking. Rose wines are the BBQ staple of most French BBQ dinners, as this is typically a summer cooking practice. I understand that matching wine or beer with a BBQ dish may need some guidance; please refer to Jack's chart on the right. These 2 books will provide some perspectives depending on your interest for deepening your knowledge on food and wine pairings. A 2016 article published by my former colleague Pascal Schlich describes a method that could help you determine what food and wine pairing works best for you. 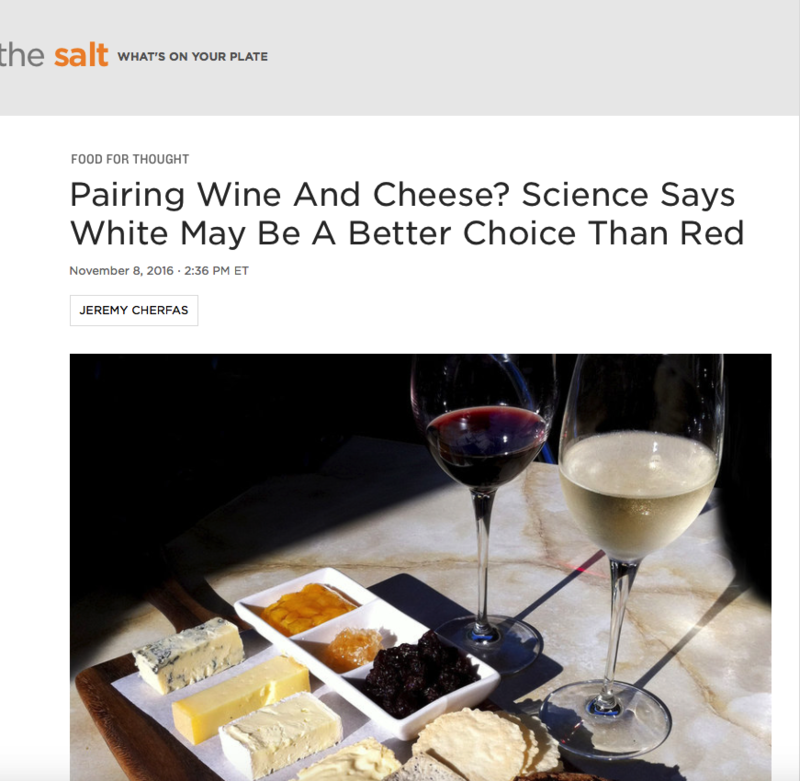 This article gained international media attention as it provided scientific evidence on the effect of eating cheese on consumer appreciation of the wine paired with it. The article is entitled "Use of Multi-Intake Temporal Dominance of Sensations (TDS) to evaluate the Influence of Cheese on Wine Perception" by Mara V. Galmarini and her collaborators. Consumers tasted each wine without cheese and with each cheese, of course in different sessions. In each tasting condition, participants took three consecutive sips of wine, and for each sip noted the aromas or tastes that were dominant and then how much they liked the wine. When cheese was tasted, it was tasted after the first and second sip of wine. Findings showed that the cheese consumption had an impact on the duration of the characteristics that were perceived in wine. I believe many of us knew already about this. However, this method (multi-sip TDS) enables us to understand not only which wine aroma, taste or mouthfeel perception is impacted by the cheese consumption, and also how it is impacted: does the perception persists a longer time or a shorter time? The table below summarizes these effects for each food and wine pair. The major impact was on the Madiran wine; consumers tended to like it more as they sipped it with cheese compared with no cheese. While other sensory studies showed that eating cheese tends to suppress the perception of wine aromatics, this method actually showed that the duration of the red fruits aroma increased when Madiran was tasted with cheese and when Bourgogne was tested with milder cheeses. NPR had a segment about this study and concluded that white wine goes better with cheese, although the common belief is that red wine is a better match. I would argue that this study only describes how the duration of some wine perceptions change when cheese is consumed. The small number of participants does not allow to conclude statistically that white wine is preferred with cheese. I personally consume only mild cheeses and stay away from blue cheeses or super fermented stinky cheeses. 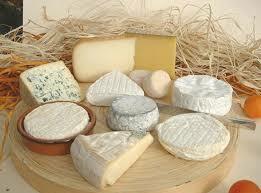 I like having a Chardonnay with Comte, Gamay or Cote du Rhone with goat cheeses. What about you? What food and cheese pairing do you enjoy the most? I would love to hear from your personal experience in food and wine pairing. How can you practice this method at your next tasting? Let's keep it simple for the first time. Sip the first glass, swallow, and eat one piece of cheese. How do you like this first glass of wine? How do you like this second glass of wine? How do you like this third glass of wine? Before running the same protocol with the second cheese, rinse your palate with water and unsalted crackers or bread. Have a break of at least 2 minutes and repeat. Now it's time to compare your notes!